Our Community CleanUp was a complete success and a lot of fun as well. We had lots of residents from across the community drop off their junk and also enjoy a piece of birthday cake. We'd like to thank everyone for coming out this year. We'd also like to extend a huge thanks to our sponsors this year. City of Calgary NPR - supplied the safety vests for the volunteers. HERE ARE THE RESULTS FROM THE CITY OF CALGARY - GREAT JOB EVERGREEN! 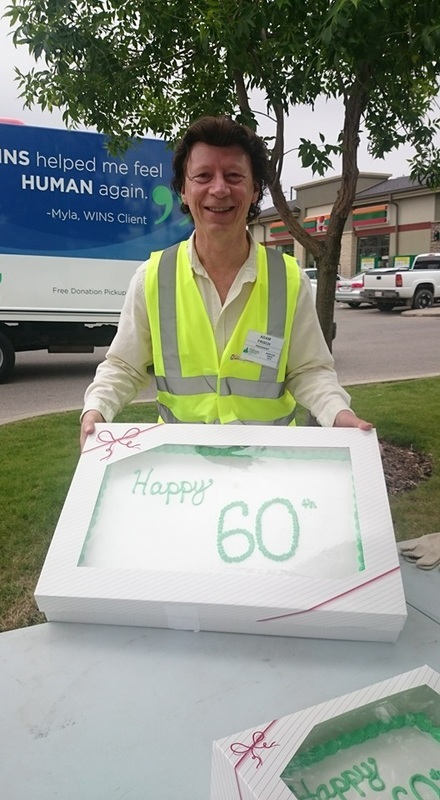 MLA Dave Rodney generously donated the birthday cake we handed out to residents during our clean up. Thank you Dave!